With the event tied in with Clement’s on-street farmer’s market, which launched a few months ago, the throngs of humans were no surprise. Less expected were the llamas. 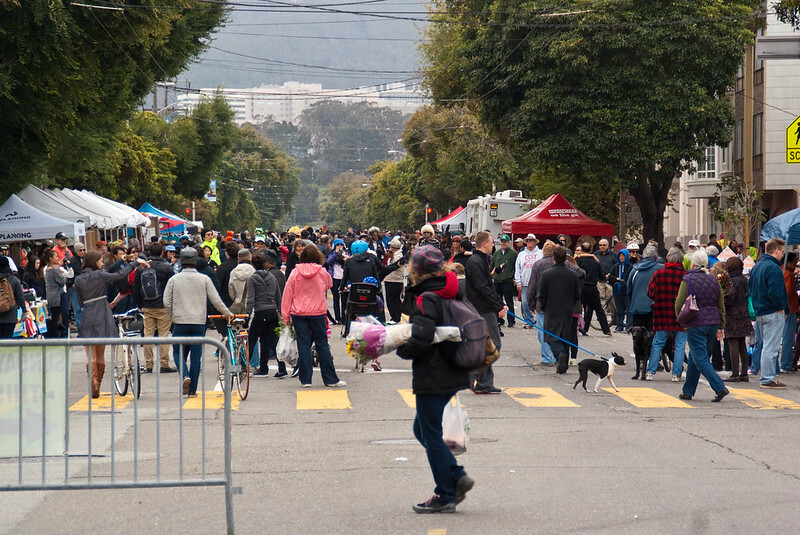 Arguello, a residential street, wasn’t quite as lively as Clement, though removing the cars certainly made it more kid-friendly and provided a much quieter, safer connection to walk and bike between the Presidio and Golden Gate Park. Yeah, I’m pretty sure those were llamas, we don’t have alpacas out here in the Richmond . . . 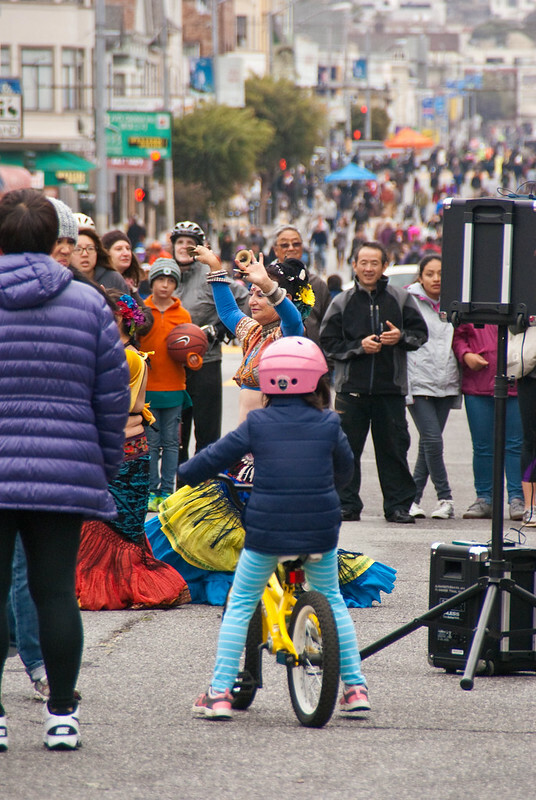 It was a very fine Sunday Streets on Clement and Arguello, thank you to everyone who made it happen, and to Frank Chan for more great photos. It was pretty cold and windy and grey but the streets were full of people and dogs and plushies, I saw so many parents and kids with scooters and prams and bikes, enjoying the middle of the street at their own human pace, big grins and laughter (and of course soap bubbles). Lots of terrific music peppered along the streets as well, and everyone and everything. 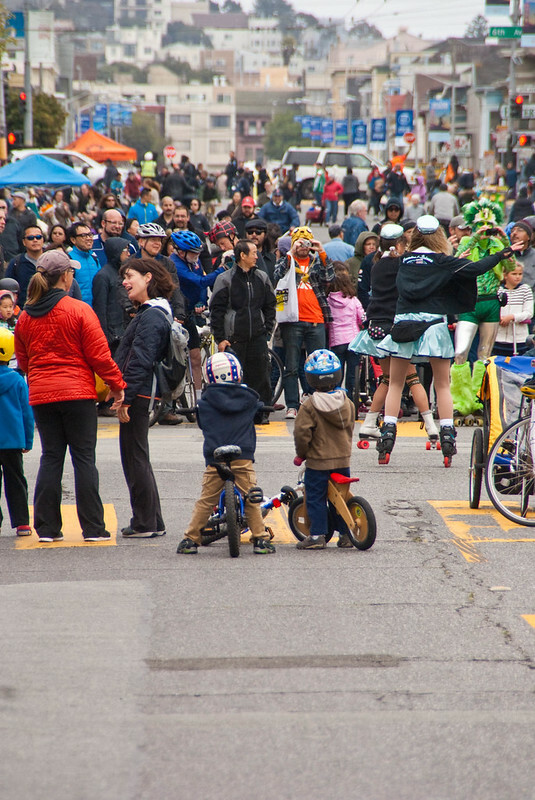 Really beautiful day, great way to end the Sunday Streets Season, can’t wait till next year! Yeah, looks like they were llamas after all — fixed it. Fortunately I was still able to work “llamas” into a fun headline! 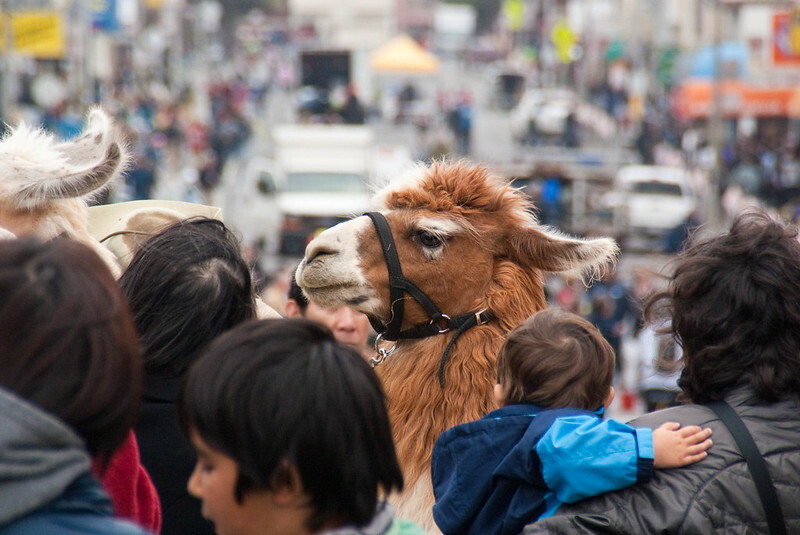 vicuña say “camelid” to make it plainer? just pulling your tail . . .